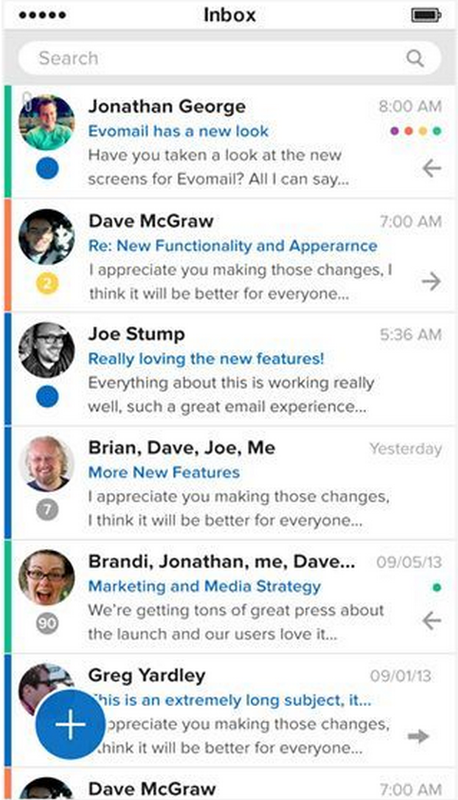 Evomail‘s email apps for iPad and iPhone were well received last year but things move quickly in the world of user interface design, so today the Wichita-based startup has launched a completely new, separate version, optimized for iOS 7. You’ll see a couple of familiar interface elements in the new Evomail+ app. There’s Mailbox-style swiping to ‘triage’ your inbox with quick archive and delete actions, and a Path-esque button in the bottom-left corner that acts as the main way for you to interact with your inbox. Holding and swiping it in different directions brings up different options and actions. If you enjoy the simplicity of Mailbox, it may be a bit overwhelming to return to something more fully-featured like this, and UI takes a bit of learning. Still, it’s definitely a darn sight more powerful than the built-in iOS Mail app.